I am not the world's greatest cook so I never have a clue of when my proteins are done. 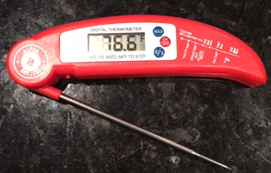 I given a chance to review Alpha Grillers Digital Meat Thermometer. 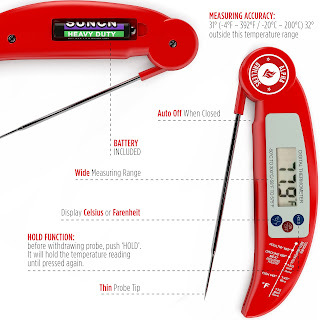 My food comes out perfectly cooked now because of this handy little gadget. It's well made and extremely easy to clean. It's very easy to store since it's small.